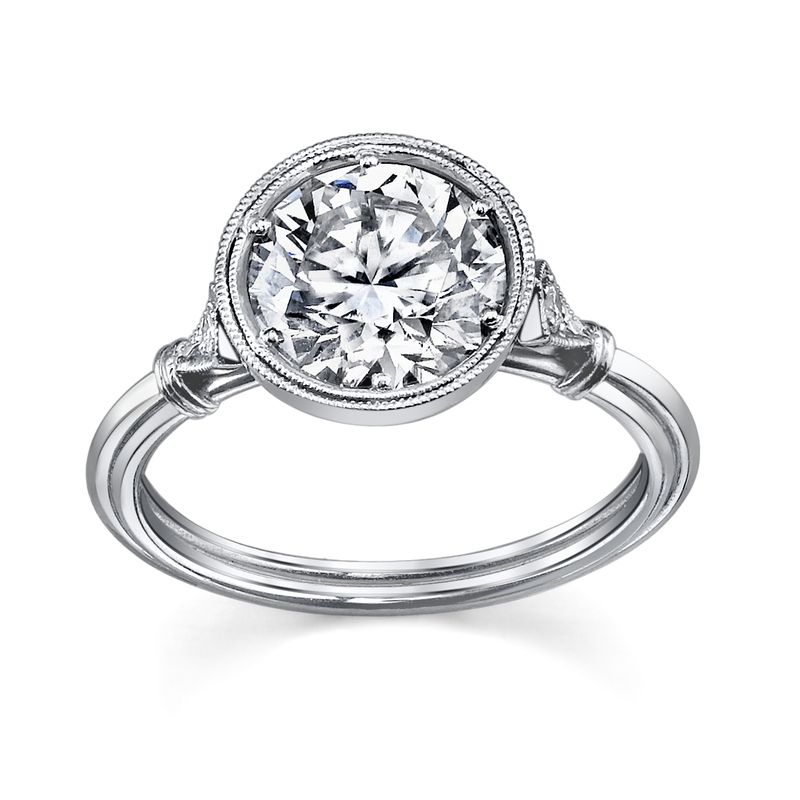 Vintage platinum double bezel engagement ring setting with triple wire band and diamond-accented cathedral shoulders. Please note that price is for setting only. Setting is currently a size 6 but can easily be sized by our workshop. 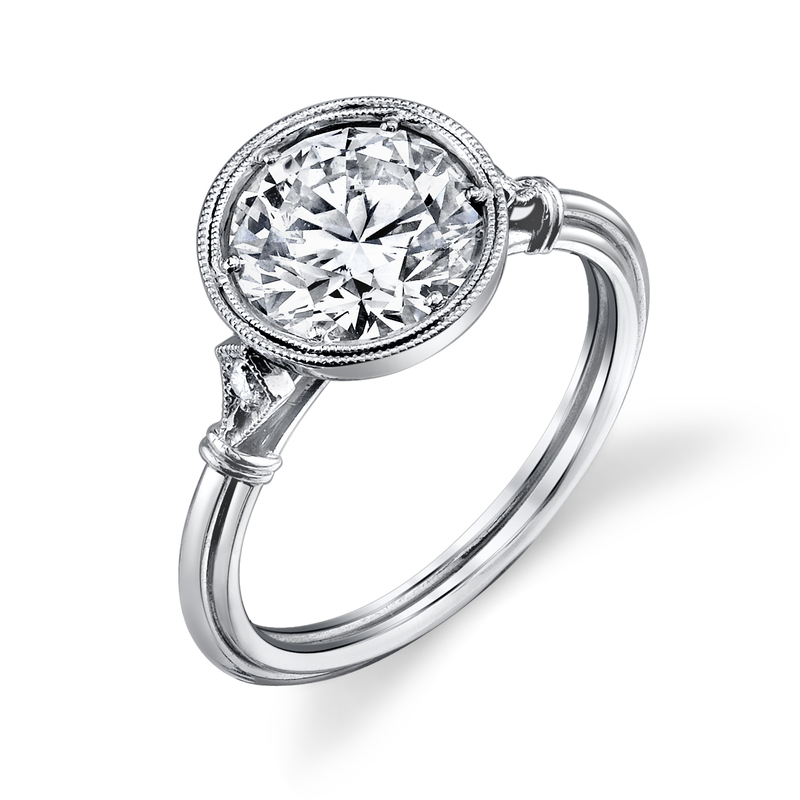 We are happy to customize this piece for you with the center gemstone of your choice. Please contact our concierge for pricing.